Bounder, hailing from my parents’ corner of the world, stopped by en route to some new adventure. A lizard of few words, he did not stay long when he discovered the only spirits in my place were for cooking and not of a proof to quench his thirsts. He reported that others from the posse might check in to make sure I am okay, including the elusive Lacy… I will keep you all posted if he is seen in my neighborhood. 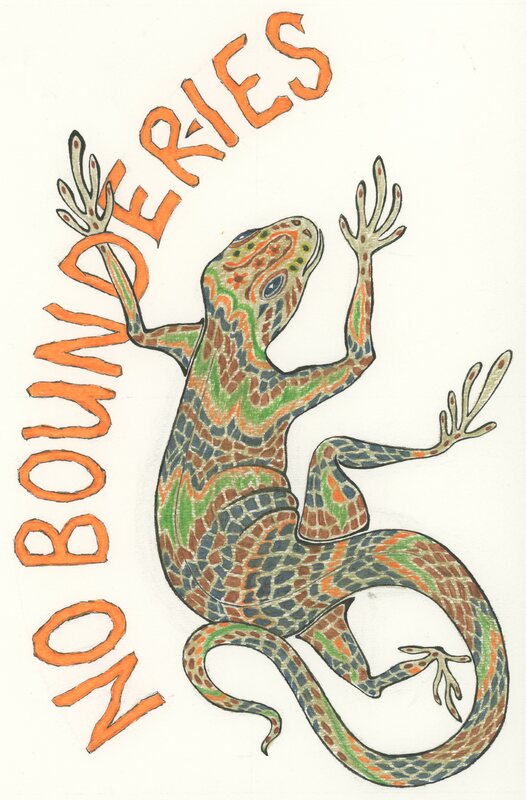 Bounder, member of the famous Lucky the Lizard posse seen in the southwest corner of San Francisco and headed to parts unknown. Rendered by Meredith Eliassen, 2015. This paisley design features flower motifs that I toyed with as a teenager, but it is very different from anything that I have done before. 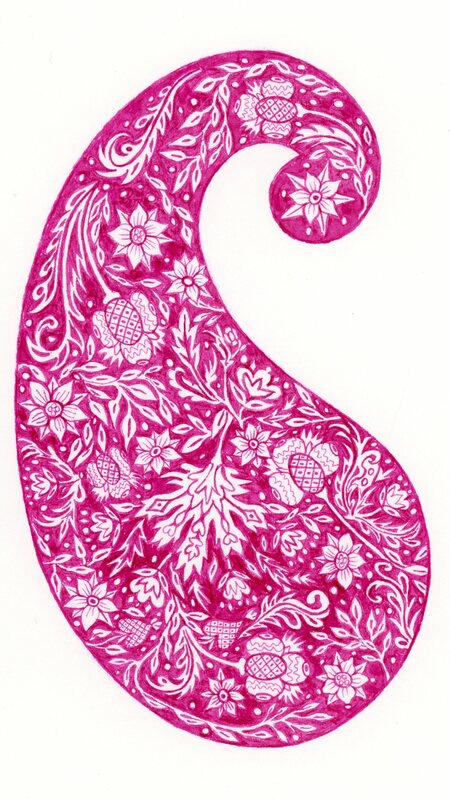 Paisley design featuring early American flower motifs from the Pennsylvania area drawn by Meredith Eliassen, 2015. Last weekend I spent a few hours with the Friends of Calligraphy and Marina Soria contemplating the evolution of shape, so coming soon to this blog… Snail Haiku will introduce Felix the Helix. Until then, please enjoy the spider design. 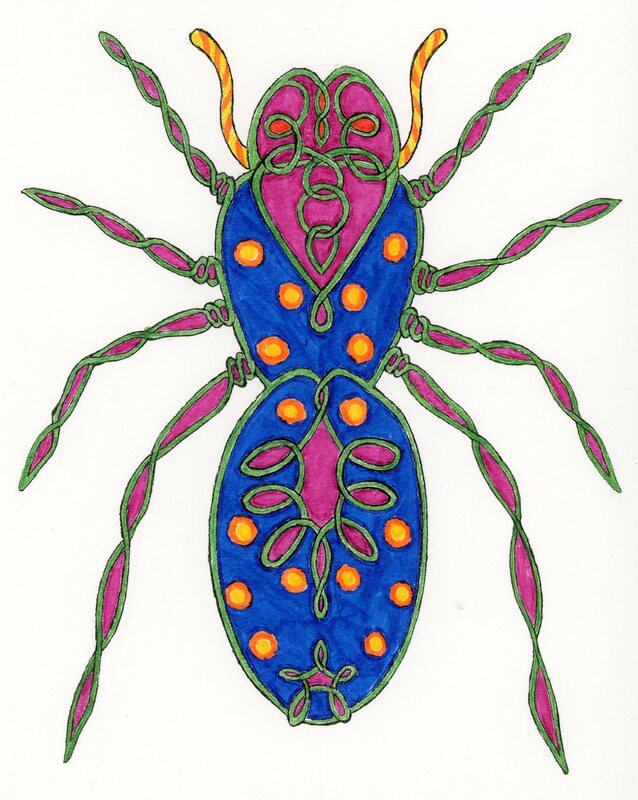 Spider design by Meredith Eliassen, 2015. 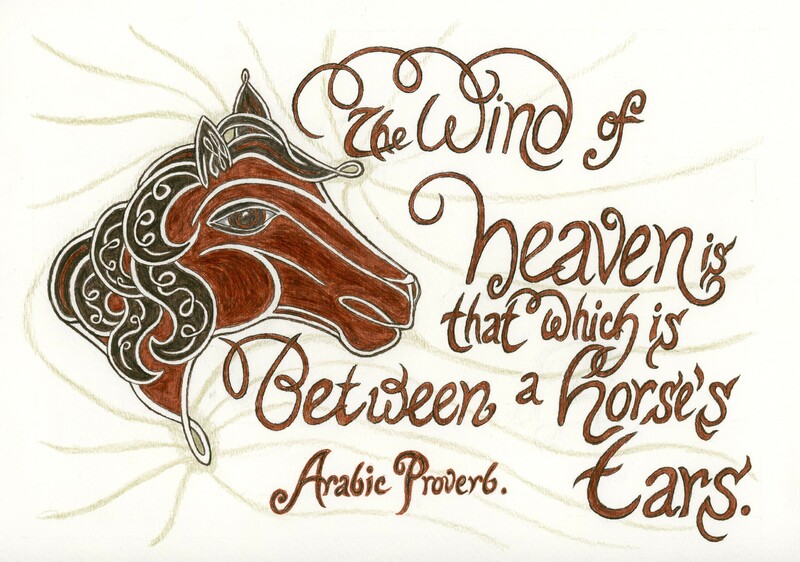 “The Wind of Heaven is that which is between a horse’s ears.” Design by Meredith Eliassen, 2012. Be grateful for what each day brings.